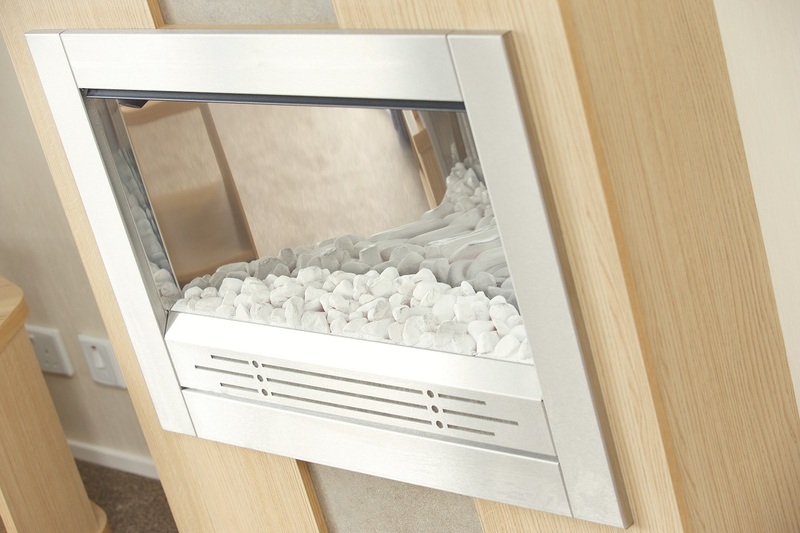 Specification includes: Double Glazing, Central Heating, Outlook Doors and Galvanised Chassis. 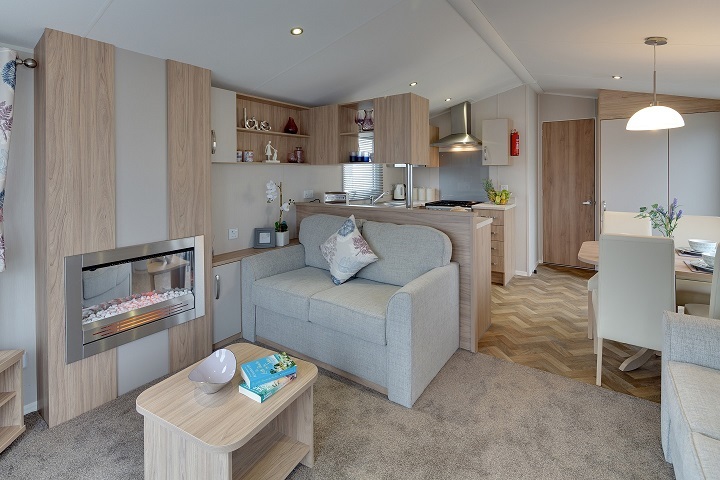 Lounge with electric fire, 2 separate fixed sofas with scatter cushions, coffee table, storage footstool and wall-mounted mirror. 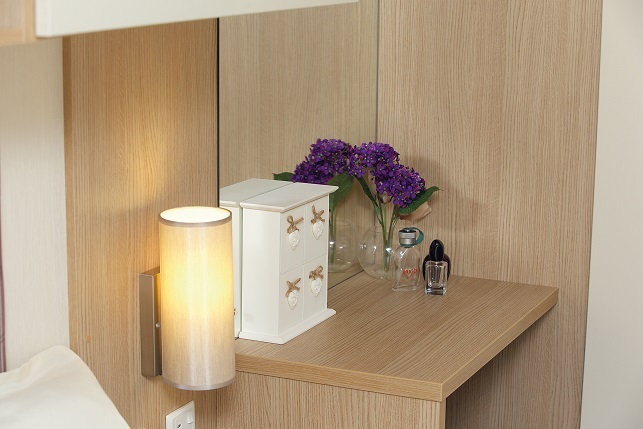 A practical full-height storage cupboard is located beside external door. 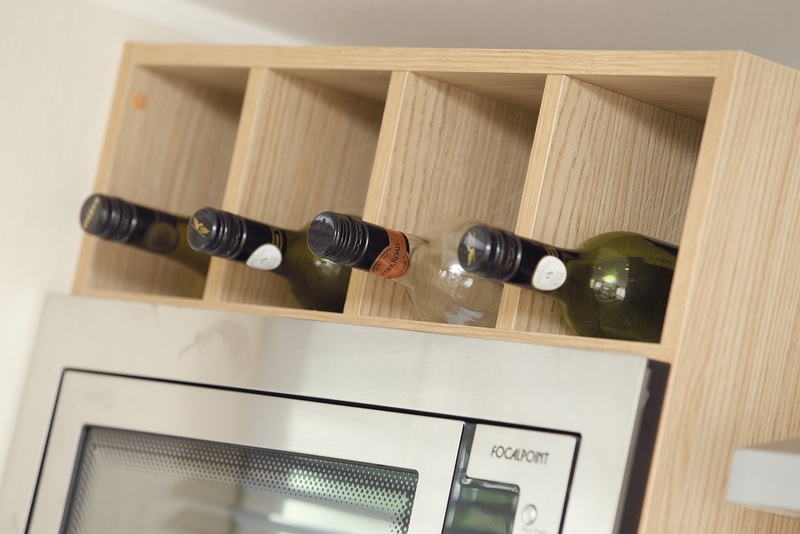 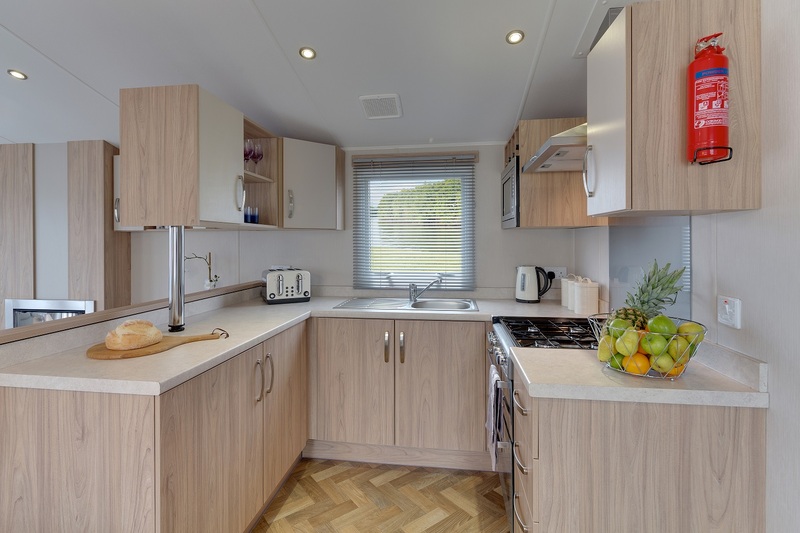 Fitted kitchen: gas cooker with externally-vented stainless steel extractor fan, integrated appliances: fridge-freezer, microwave and full-size dishwasher. 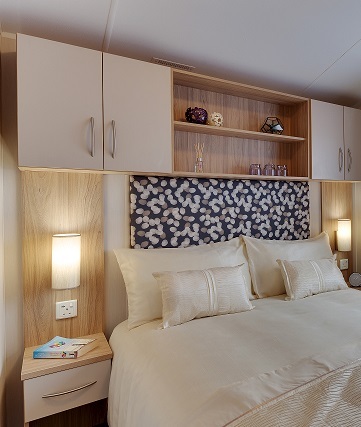 Main bedroom: King-size bed with practical lift-up storage, duvet cover, pillowcases and bed runner in Cream with Silver. 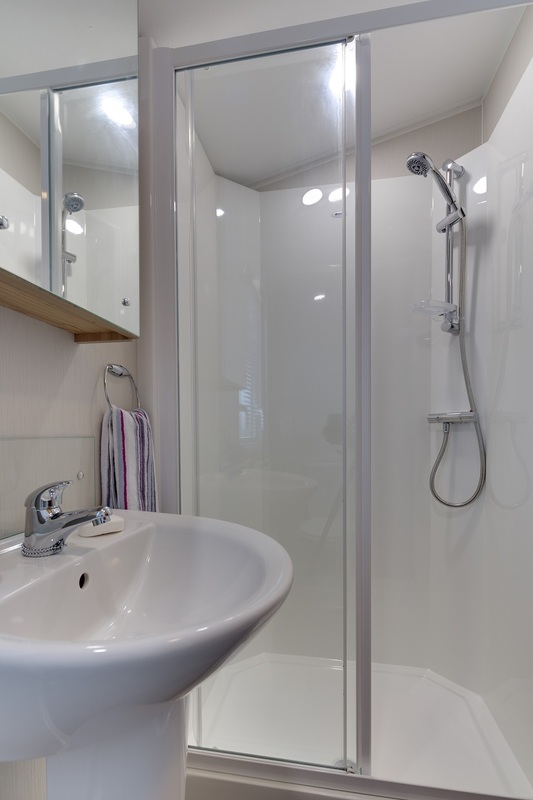 En-suite with wash basin and WC. 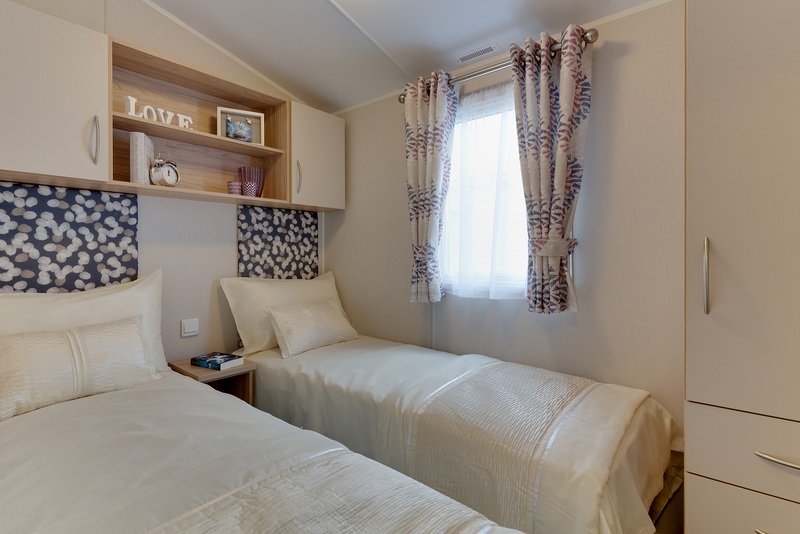 Twin Bedroom: 2 Single Beds with Duvet covers, pillowcases and bed runners in Cream with Silver. 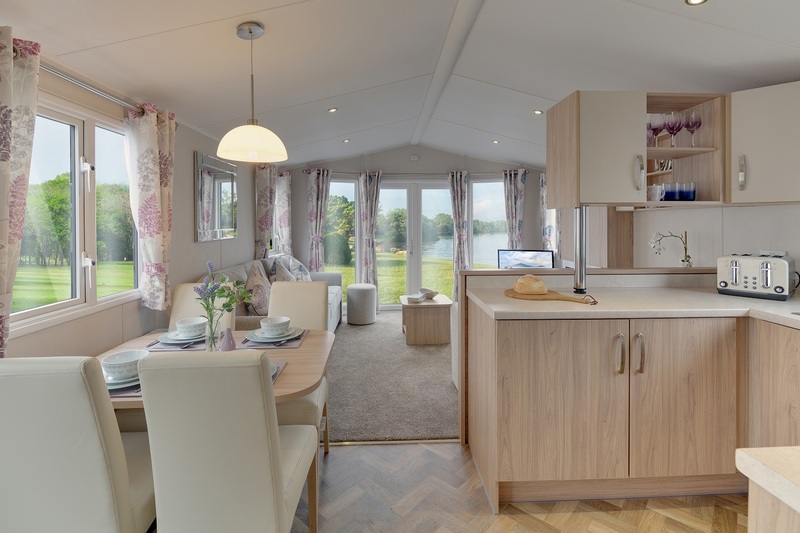 The Willerby Brockenhurst is a great value family specification. 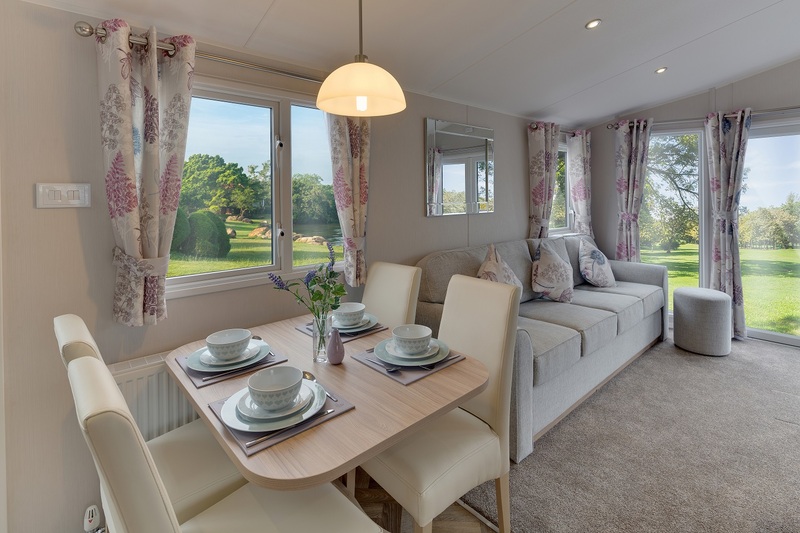 Coast and country Holiday Parks can be recommended to locate the Willerby Brockenhurst.